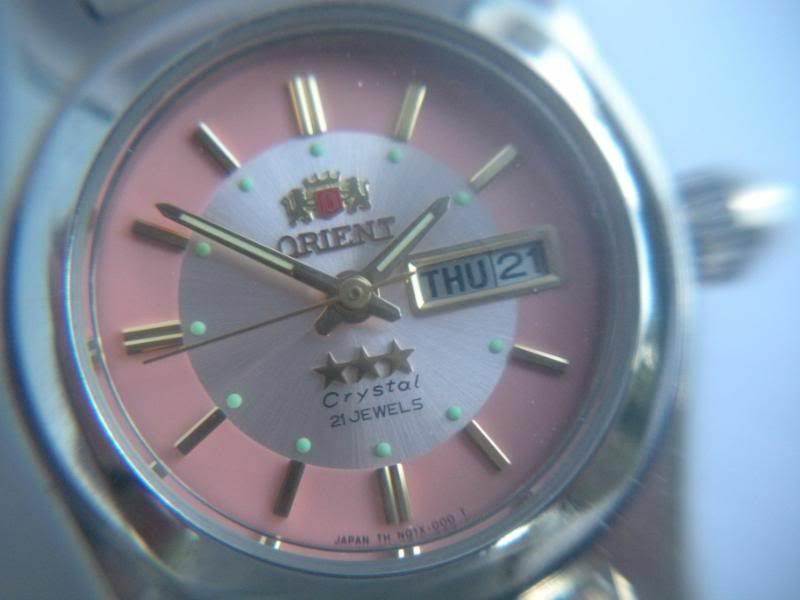 A day/date Orient, with an auto movement and a fairly nice bracelet, for $47! Very nice. Heckuva deal. I think my wife would like something like that. And also, no, I'm not a mouthpiece. I'm nothing more than a humble bookseller. I've had, however, some really terrible papercuts in my time. 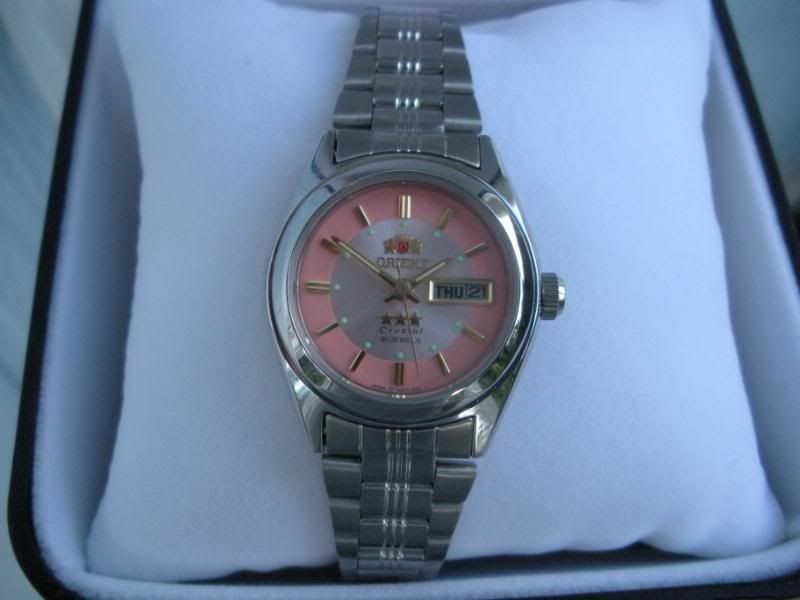 For those interested, it's a really nice lady's watch. 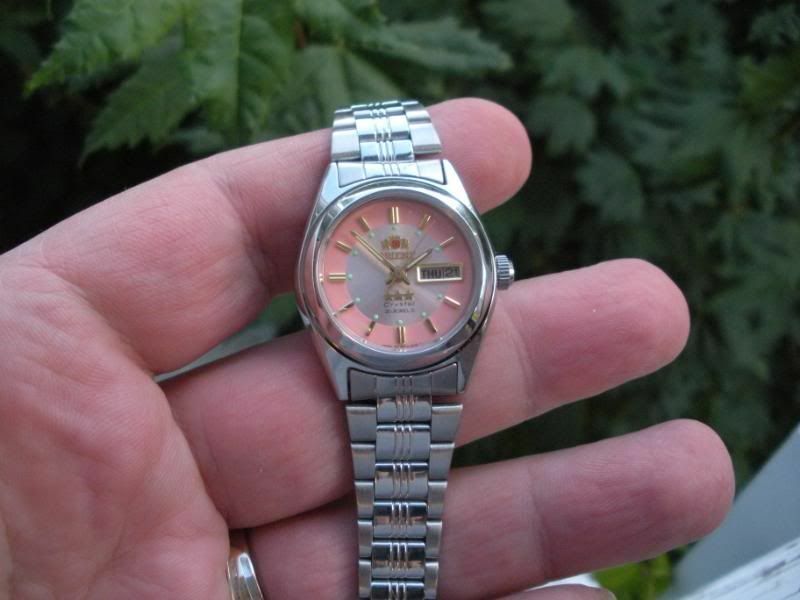 It's got the typical Orient shake-and-bake movement, with a pretty smooth sweep; it's got a Seiko 5-style folded-link bracelet, which I cannot size, since I don't have the tool (or the patience) to do it. It's about a 25-26mm case, although rather thick, with the old-fashioned bubble-back. It also shipped in a non-Orient, rather plain gift box, and although the plastic wrappers were still on the watch, I'm guessing it's gray market, probably from a liquidator who got a bunch of these. 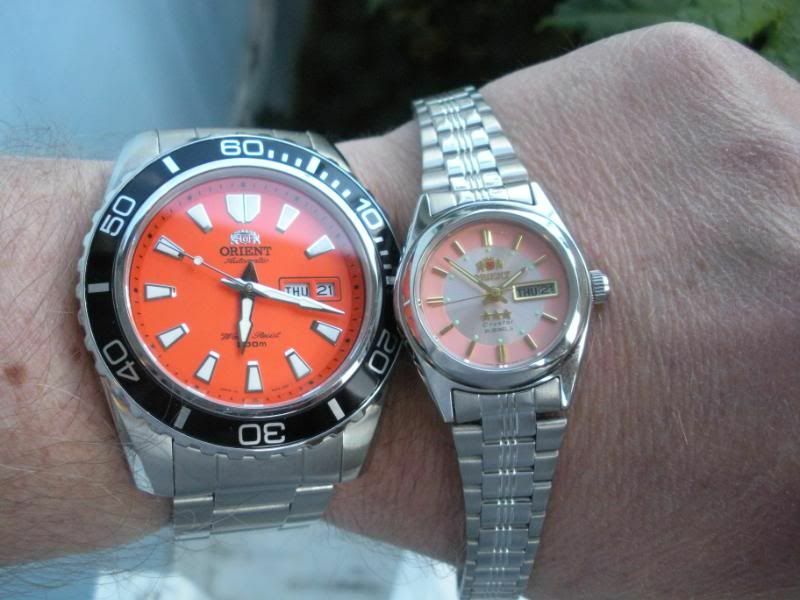 That's one of the cool things about Orient; they date back to, I think, 1950, and there's tons of models still available, and I know so little about them that it's fun to learn stuff like your statement, AH, thanks for that. Also, if you check the Amazon link, there are plenty of men's models available for under $50 as well; they're pretty small, around 37mm, but definitely cool. It's no pimp cup but I hope your wife likes it anyway.